Let’s get one thing straight, Raja Ampat is remote, and in our experience, the more remote places in Indonesia are less affordable than the more mainstream islands. 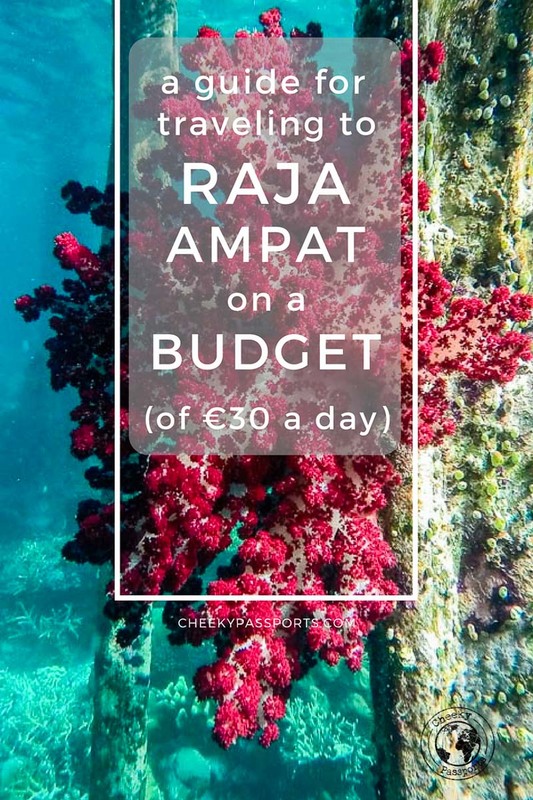 If you’re looking to travel to Raja Ampat on a budget, be aware that it requires some thorough planning and research, but don’t despair, as we made a list of the best hacks for Raja Ampat travel on a budget (if you can call €30 per day so)! You cannot simply ‘wing it’ when you travel to Raja Ampat on a budget. But with some thought and planning, it is perfectly possible to access one of the most breath-taking destinations on the entire planet without blowing all your savings. 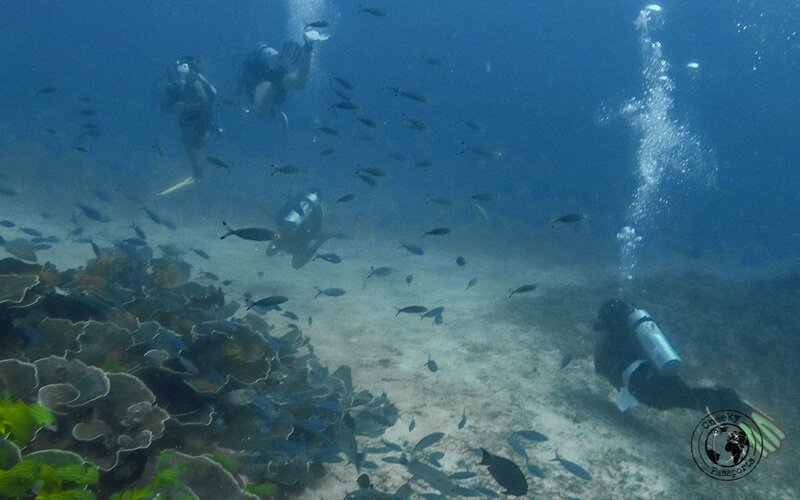 Dive sites are plentiful and Raja Ampat diving is easily the most popular activity in the area. A restricted budget for travel in Raja Ampat is in no way at par with a restricted budget in the rest of Indonesia. For starters, eastern Indonesia is in general, a little more expensive than the western side of the archipelago, with Papua and West Papua, including Raja Ampat, probably being the most expensive of all provinces. After having traveled extensively around Indonesia, we can confirm that we spent a lot more money here than we did in other areas, but we will show you how you can still travel to Raja Ampat on a budget! We always promote independent travel, without the need of an organised tour, but if you have difficulty planning your own trip, or you are short on time, we suggest that you take a look at the trips by Viator. Our total expenditure was of IDR 820,313 (about €50) per person per day (for 8 days) including all accommodation, permit fees, food, snorkelling and dives, boat trips and even some beer. This could have been further reduced to IDR 518,750 (about €29.75) per person per day if we had to exclude boat transfers to other islands, boat trips, diving & snorkelling trips and extra drinks. If you plan on staying for longer than 8 days without participating in activities, this daily cost can be reduced further since the park permit fee and boat transfers to and from Raja Ampat are one-time payments. 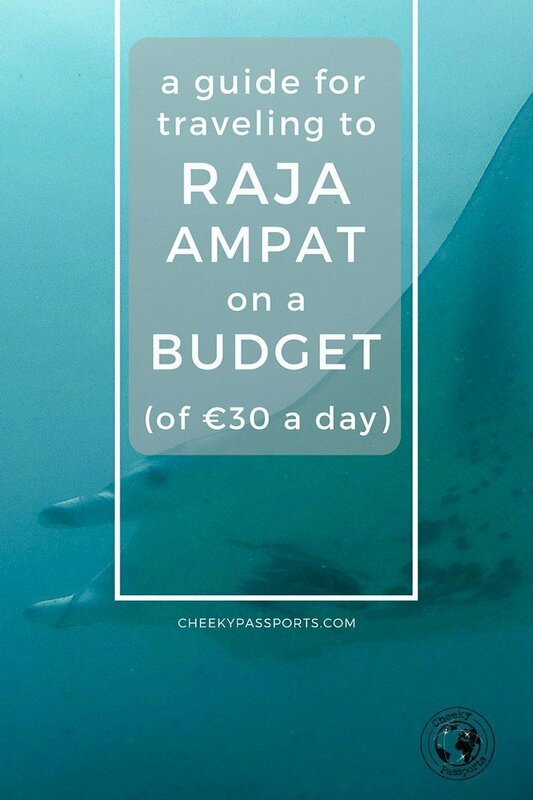 It is safe to assume that the minimum expenditure for a week’s stay is of about €30/person/day (with no ’extras’) when you travel to Raja Ampat on a budget. Even if you do not plan on doing extra activities, we advise you to take extra cash along with you other than this minimum amount, in case of unforeseen emergencies, change of heart about activities, and since it might not always be possible to share boats with other people and reduce costs. The spectacular archipelago is located in the province of West Papua on the island of New Guinea. Half of New Guinea belongs to Indonesia with the other half comprising of the independent country of Papua New Guinea. Raja Ampat (Four Kings) is a marine park, spread over almost 10 million acres, made up of over 1,500 islands containing some of the richest marine biodiversity on earth, making it a true worldly paradise for underwater lovers, divers and snorkelers or those simply wanting to enjoy natural spectacular beauty. Raja Ampat diving is well known among enthusiasts. How do I travel to Raja Ampat? The starting point to Raja Ampat travel is the Indonesian city of Sorong. Airlines fly to Sorong from airports in Ambon, Makassar and possibly other Indonesian cities. Since using foreign credit cards for online bookings is often an issue with Indonesian airlines, you can check and book flights here. We spent the nights prior to and after our trip in Raja Ampat in the port town of Sorong, where we stayed at Hotel Lido 88 for a cost of about 350,000 IDR (about €21) for a standard room with a bathroom and a/c, as well as breakfast which we missed every time. It is quite frankly a no-frills hotel which simply serves its purpose. Boats from Sorong Harbour (Pelabuhan Rakyat) run every day to Waisai at 9am and at 2pm. The crossing costs 125,000 IDR (about €7.70) and takes about 2 hours. If your hotel in Sorong is located far from the harbour and is not within walking distance, you can stop an angkot on the street for 5,000 IDR/ride (about €0.30). The angkot will stop you in the main road, about 10 minutes’ walk from the harbour. Flights from Sorong also run to Waisai’s Marinda Airport and can be booked here, but we found the ferry service to be very convenient and the most affordable means of transport for travel to Raja Ampat on a budget. You will pay your PIN (Raja Ampat Marine Park Entry Permit) in Waisai as soon as you alight the boat. 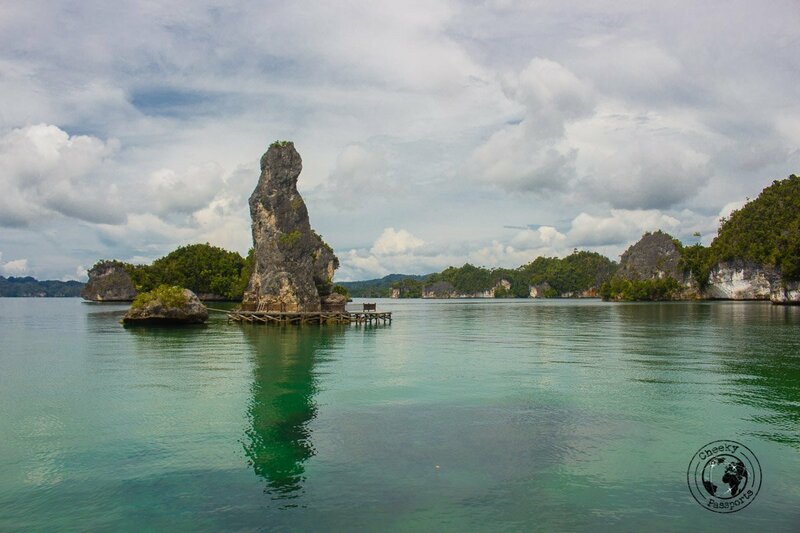 The PIN will possibly be one of the largest expenses you will encounter when you travel to Raja Ampat on a budget, with a cost of 1,000,000 IDR (about €60) per person, although it is valid for a full year. Staying longer on the archipelago will of course make this expense more cost-effective. You will need to show your passports at the ticket office. Your next move and expense for travel to Raja Ampat is the boat transfer to your accommodation. 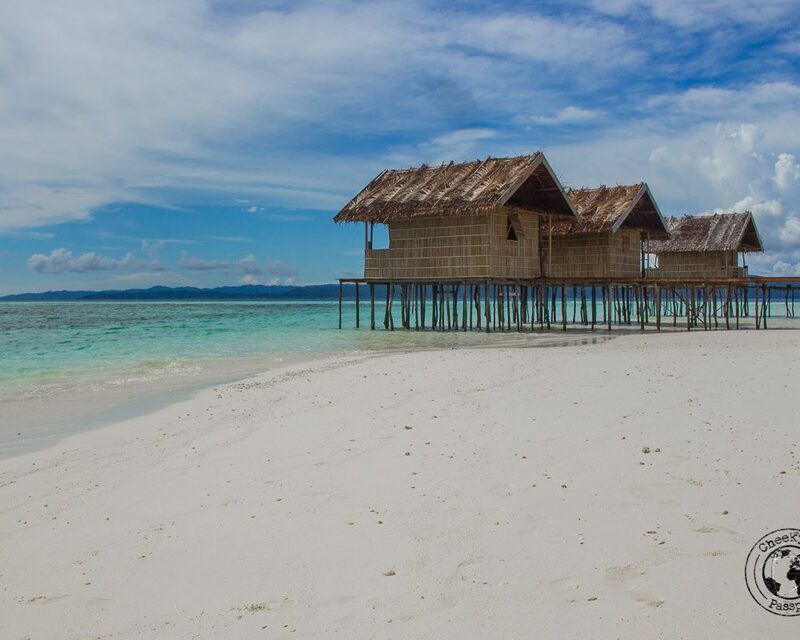 Different islands on Raja Ampat are home to several accommodation options and each homestay and resort can arrange for your pick-up in Waisai. Transfers are typically expensive, with costs starting from around IDR 500,000 (around €31) per boat, for a one-way transfer which may be shared by all passengers (if any), and depends on the location of your homestay. Costs can go up to IDR 6,000,000 (about €370) per transfer depending on how remote the island you are staying on is! Boats can typically carry up to around 6 persons so it would make a lot of sense if you could share this cost with other visitors to the islands if you are planning to travel to Raja Ampat on a budget. You can pre-arrange your boat transfer with your homestay and ask them whether any other passengers will be picked up at the same time as you, so that you already have an idea of whether the boat will be shared or not. Alternatively, try finding other people in Waisai who plan on going to your same homestay or somewhere close. Do not underestimate the importance of sharing a boat. A transfer boat can make several stops to unload passengers, as long as they are traveling along the same route. Sharing the boat with a full load of passengers can take your transfer costs down to around IDR 85,000 (about €5.20)! 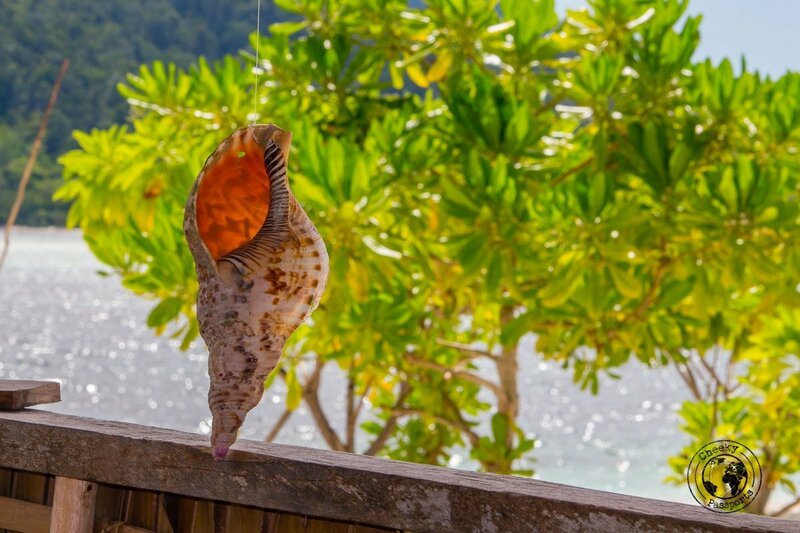 Resorts are of course the most luxurious type of accommodation in Raja Apat and should be avoided if you are planning to travel to Raja Ampat on a budget. If, however, you wish to consider staying at one of these mesmerising places, you can check the latest accommodation prices here. 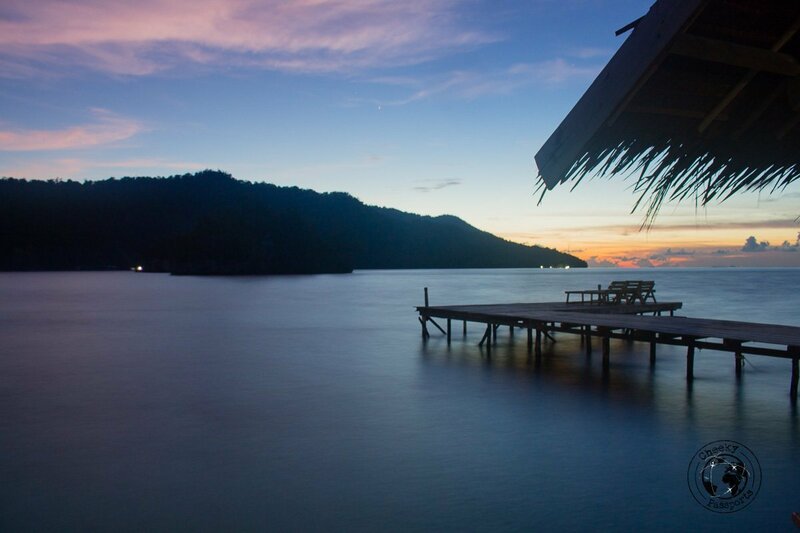 Many of the resorts include Raja Ampat diving packages. Homestays tend to be the accommodation type of choice when you travel to Raja Ampat on a budget, with costs as ‘low’ as IDR250,000 (€15) per person per night, usually including three full meals and unlimited water/tea/coffee, but shared facilities. Homestays and generally very basic, with a mattress in a cabin, a porch with a hammock, and little else, except a mosquito net perhaps (most often damaged). The cabins are sometimes poorly-maintained and leak water when it rains heavily. Electricity is often only available at night via a generator. Raja’s wildlife is amazing, and it is not uncommon to have unexpected guests snooping by to welcome you on the island and share the cabin with you. This is not just restricted to a substantial number of unidentifiable insects, but also to rat families, so be warned! DO NOT keep food in the cabin even if it is sealed. Toilets and showers are shared among guests as is a common area where food is served. Despite making the acquaintance of numerous rats, we felt extremely comfortable in both our homestays, and we would happily use this type of accommodation again. We stayed at Mangkur Kodon Homestay (+6285243359154) on Kri Island for IDR 350,000 (about €20) per person per night, and at Arborek Homestay (+6285197051443) on Arborek Island for 250,000 (about €15) per person per night. 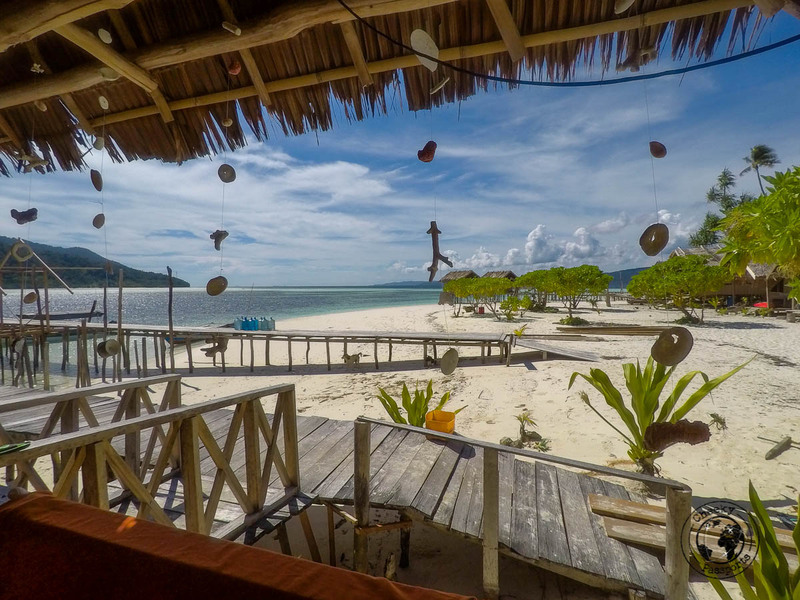 Mangkur Kodon was the more expensive option, but provided better facilities and the location is perhaps one of the best homestays in all of Raja Ampat, on a little sandy beach with a rich coral reef just a few metres out of the beach. If we had to travel to Raja Ampat on a budget once again, we would consider spending all our time at Mankur Kodon, since we found Raimon (the owner), to be a great host who took care of all our needs and tried his best to arrange boat trips in the most cost-effective manner possible. This zone has also some of the best (i.e. as good as it gets) 3G signal in the area. Sometimes Raimon asked for payment upfront prior to a boat trip, but we thought that this was ok, seeing that we owed him the money anyway. Arborek homestay was extremely quiet, with gracious hosts who interacted very little with us. This was perfectly fine and our stay was great, but the location of the homestay (and any other one on Arborek) does not compare to that of Mangkur Kodon, though there are a handful of ‘convenience’ shops around!. There are other advantages to staying on Arborek though, which we shall describe below. A comprehensive overview of homestays including locations and costs is included on the fantastic Stay Raja Ampat website. Camping and stays on liveaboards can also be organised, but that is beyond the scope of this post. Almost all activities make use of expensive boats, making this one of the limitations when you travel to Raja Ampat on a budget. Raja Ampat diving is without a doubt THE activity to do during your travel to Raja Ampat. We totally recommend Raja Ampat diving, but even if you don’t dive, the snorkelling here is world-class, including sightings of sharks, turtles, barracudas, napoleon fish and parrot fish at almost every descent into the water. The Raja Ampat archipelago is part of the Coral Triangle which contains the richest marine biodiversity on earth, so you can only imagine that the coral ecosystems in this part of the world are pristine and incredibly rich, making Raja Ampat diving one of the best experiences you can have in this part of the world. Jetties are fantastic places for spotting fish, even larger ones, and marine enthusiasts will find it difficult to head back up to shore once they are in the water. If you are carrying your own snorkel gear, you can snorkel pretty much anywhere around the islands. If you’re not carrying your own gear, most homestays can arrange to have it rented for you. We organised our Raja Ampat diving with Arborek Dive Shop run by the lovely Githa and her husband who provided a great service which made our days at sea very exciting! Credit cards may be accepted here, though a transaction may take ages due to the bad connections, so do yourself a favour and take enough cash. Raja Ampat diving with Arborek Dive Shop cost 575,000 IDR (about €33) per dive. 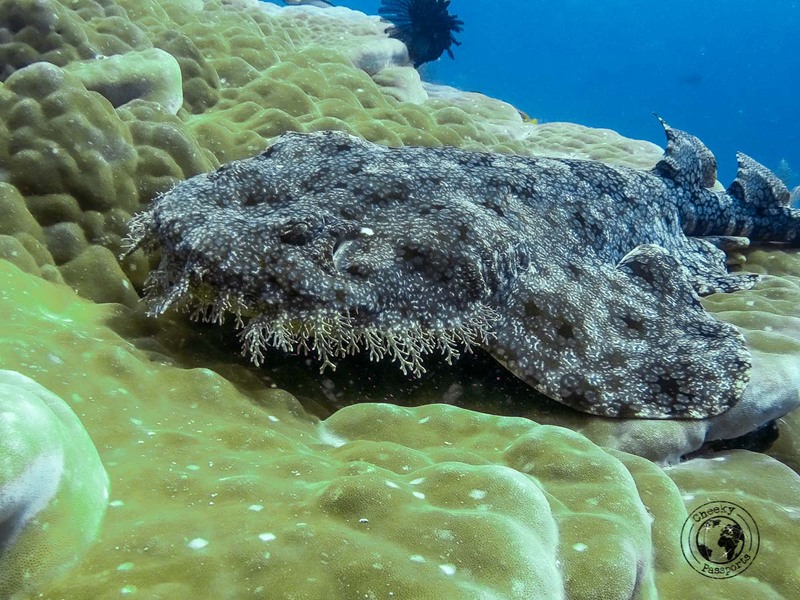 Nikki dived at Sawandarek Jetty where he observed a swimming Wobbegong (which is apparently rather rare) as well as lots of other marine life. 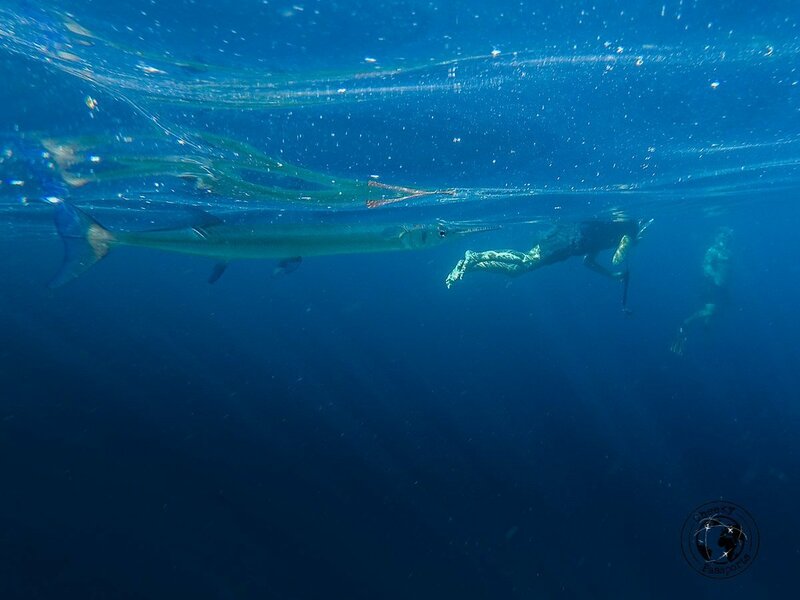 Included in the same Raja Ampat diving package was also a dive at Manta Sandy, a ‘cleaning station’ for Mantas, where divers can lay at a demarcated place, and observe several of the beautiful mantas being attended to by cleaners (smaller reef fish). It is important to note that sea currents in Raja Ampat are typically very strong, and it would be best if you were a confident diver before attempting to dive in these waters. Some of the dives experienced here are drift dives, and using hooks is sometimes necessary on other dives. No description necessary! Take your favourite book! Mangkur Kodon has a selection of (oldish) books left by past guests which I could borrow. 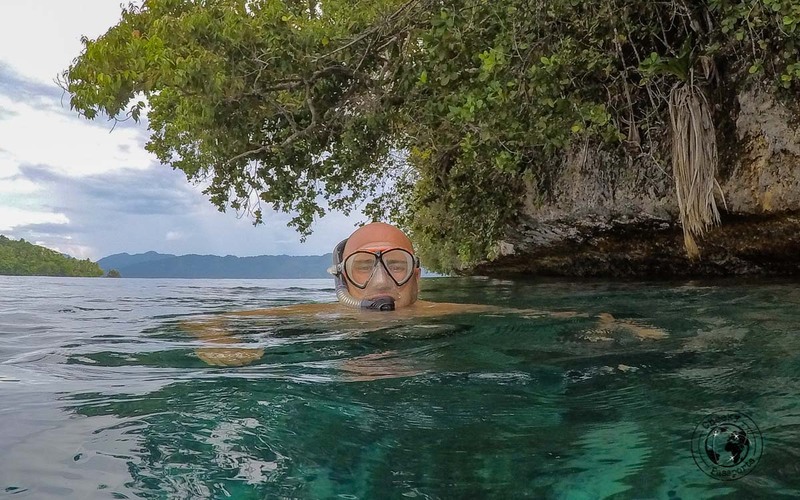 This activity is free making it one of the best things to do if you travel to Raja Ampat on a budget, and a relaxing alternative to Raja Ampat diving, especially if you don’t plan on going for dives every day! Due to the higher fuel prices in Raja Ampat when compared to any other parts of Indonesia, (not the fault of the local tourism operators), boat trips are easily some of the most expensive activities in Raja Ampat and high costs are best avoided by sharing the trip with other guests, either those in your own homestay, or those staying in nearby homestays. Guests will normally have similar interests regarding the attractions/places they would like to visit, and devising an itinerary is usually left up to the guests. Pianemo (Piaynemo) Viewpoint on the Fam islands – if you are taking ONE boat trip, make sure it’s this. The viewpoint (300 steps) will give you stunning vistas over several karst islands surrounded by turquoise waters. The cost of taking a boat from Arborek to Pianemo was of 2,000,000 IDR (about €120) which in our case was shared between four people, and included the permit fee to Pianemo. The trip was organised by Arborek Dive Shop, the same guys who also organised our Raja Ampat diving. Taking the boat to Pianemo from Kri island would typically cost about 6,000,000 IDR (about €360), i.e. three times as much, so making the transfer from Kri to Arborek (which cost IDR 500,000 or €31) was in no doubt financially advantageous. Friwen Wall – this is a great snorkelling site along a limestone cliff where you can drift leisurely along with the current from one side of the wall to the other. The marine life here is pretty amazing! 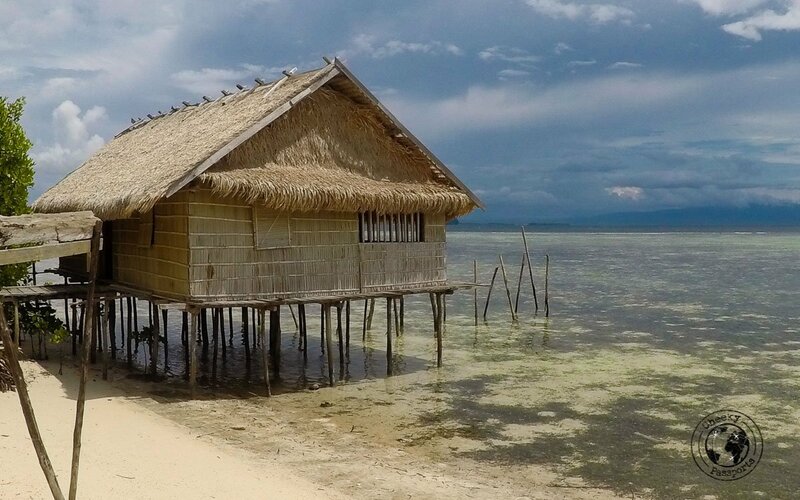 You can also choose to stay at a homestay here, but it’s pretty isolated! The Passage – the narrow passage between the islands of Waigeo and Gam is spectacular. Although we did not dive here, we enjoyed the fantastic scenery on the side of Raja Ampat and we even enjoyed drifting along The Passage in the strong current. Operators and boat owners might refuse to let you get off the boat however, since a crocodile was recently sighted in the area. You are better off taking your boatman’s advice when swimming round these areas. We managed to convince Raimon to make a stop here and swam along the passage where luckily, we encountered no crocs. 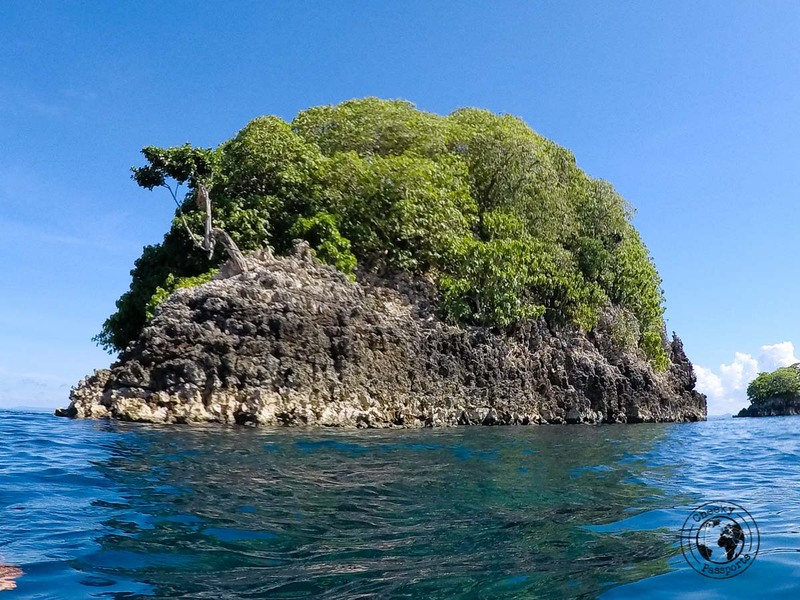 Cape Kri – one of the most popular and diverse Raja Ampat diving sites is located right on Kri Island, featuring a sloping reef along with strong currents. 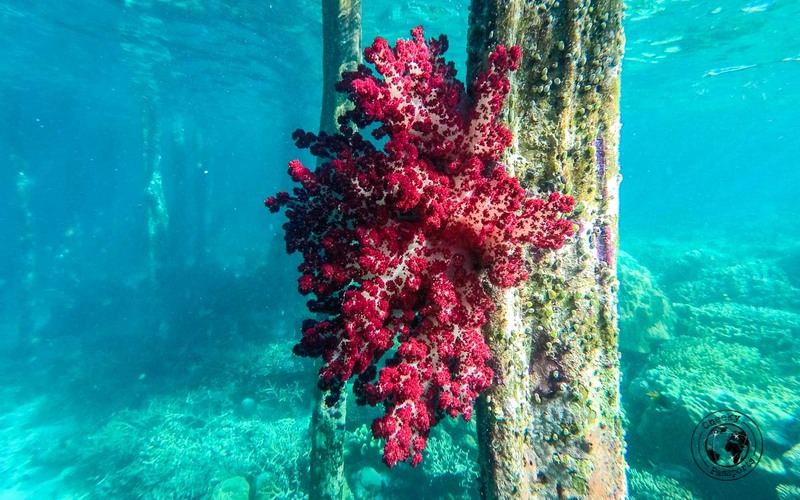 You are sure to bump into several species of large fish and should definitely make it your list of dive sites, if you plan on visiting several! Wajag offers similar (if not better) views over other karst islands but is a lot more remote, and far more difficult and expensive to get to than Pianemo. Manta Sandy – this site, located in the seas between Arborek and Mansuar, is one of the most popular Raja Ampat diving sites because it is home to a Manta Ray cleaning station, a site were the rays come to get rid of parasites stuck to their sides, which are in turn cleaned (eaten away) by small reef fish. There’s a quota in place on how many divers can be underwater at the same time in this monitored zone. Diving at the site is allowed as long as precautions by divers are taken, and only permitted in a delimited area. Your instructor will tell you all that you need to know. The mantas can also be seen by snorkelers most times. It is important to take your PIN with you as it is requested at the checkpoint. Melissa Garden – this is a snorkelling spot close to the Fam islands and a stop here is often included on a boat trip to Pianemo. Spotting Birds of Paradise – Raja Ampat is not only about diving and snorkelling! The islands also present visitors the opportunity to observe the beautiful Birds of Paradise on Gam Island. Trips can be organised through your homestay or on Gam island itself. We went on two boat trips during our time in Raja Ampat. One was organised by Arborek Dive Shop and included Pianemo on the Fam islands, a stop at a fantastic beach on another of the Fam Islands, and snorkelling at Melissa Garden for the cost of 2,000,000 IDR (about €120) for the boat shared between four people. The other trip was organised by Raimon at Mangkur Kodon and included a circular trip around Gam Island with snorkelling at the Friven Wall, sailing among several hundreds of karst islands on the northern coast of Gam island, a stop at The Passage, a snorkelling stop at Arborek Jetty and even a snorkelling stop a Manta Point (a different zone to Manta Sandy). This trip cost 5,000,000 IDR (about €300) for the boat, which we managed to share between 7 people, which greatly reduced our costs. See what further activities are being recommend by other travel bloggers! Accommodation costs on Raja Ampat are pretty standard and it is unlikely that you get a better price on accommodation just by turning up. 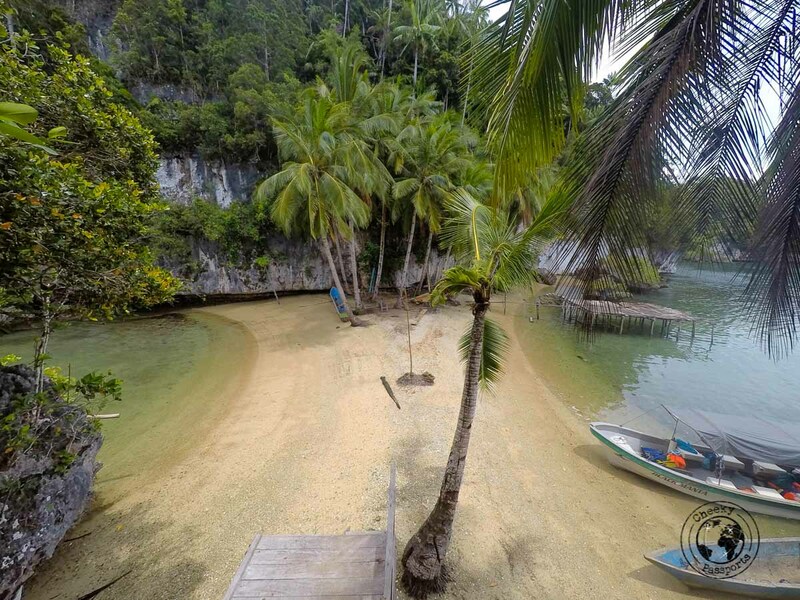 What might happen though, is that your accommodation of choice is fully booked, forcing you to make another boat transfer elsewhere (if the place is very remote), thus increasing your transfer costs and becoming a limitation in your attempt to travel to Raja Ampat on a budget! Homestays are likely to cater to guests on a full board basis, inclusive of a fruit snack in between meals, though these may be pretty basic depending on your homestay and the availability of supplies (catch) on that day, and you might find yourself craving other food. A couple of shacks sell cookies and bottled water on some of the islands (like Arborek) but these tend to be expensive. It is cheaper to make such purchases in the Sorong markets rather than at the Raja Ampat shacks. Effectively, there’s no need to bring any water – it is provided by your homestay. Boat transfers are rather expensive so it makes sense to base yourself on one island rather than moving from island to island. On the other hand, we did save money when going to Pianemo by moving from Kri and basing ourselves in Arborek for a couple of days (prices included in the point about the Pianemo viewpoint above). If you do stay on different islands, plan your trip in a circular fashion if you are planning to travel to Raja Ampat on a budget. 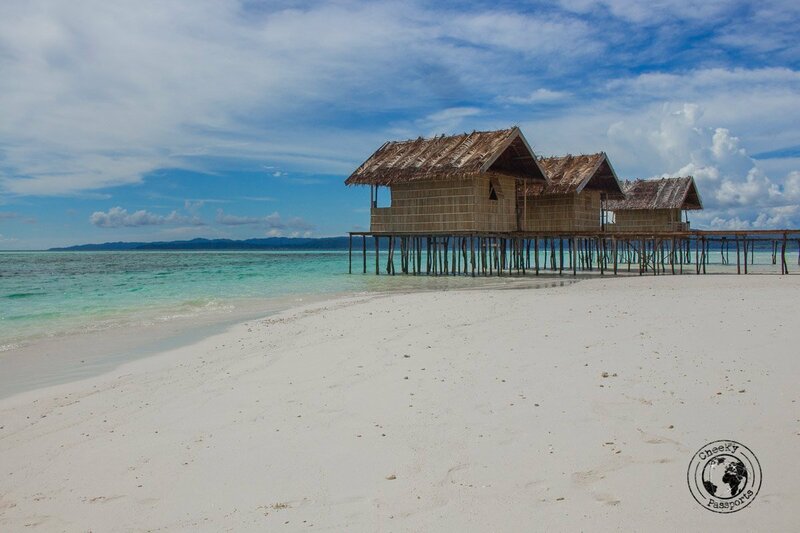 Best to grab a map and identify where in Raja Ampat you want to stay, so that you can plan your route accordingly! You will start off and end in Waisai, so planning a circular route from Waisai will minimise your transfer distance, thus ensuring that you don’t pay for extra miles. This may be counterintuitive, but when considering the elevated fixed costs of the PIN and the transfer costs, make sure your stay is longer than a weekend hop! Rentals can be rather pricey, and equipment quality is not great, so having your own might save you some money! Homestays are equipped with generators which usually run in the evenings starting at around 6pm (depending on the homestay), giving you enough time to charge your electronics. There is a common generator for all of (the smaller) Arborek island, which operates at roughly the same time. Bring enough cash – there are no ATMs. Keep in mind the high costs of privately chartering a boat or two in case of emergencies or unplanned logistics. A good flashlight/torch is necessary for travel to Raja Ampat– we love using this one. Protection for your electronics – most of your belongings will be exposed to sea, dampness and rain during your time in Raja Ampat. Good weatherproof protection is strongly recommended for cameras, laptops and phones, if you intend bringing them along. A waterproof camera with dive housing such as the GoPro – because you’re going to be using it ALL the time. Powerbank – there is no power on Raja Ampat during the day so this will come in handy, be sure to charge it at night though! Waterproof / splash proof covers for backpack – unless your backpack comes with a rain cover be sure to buy an external one! Insect repellent – a good repellent with a high percentage of DEET is highly recommended. 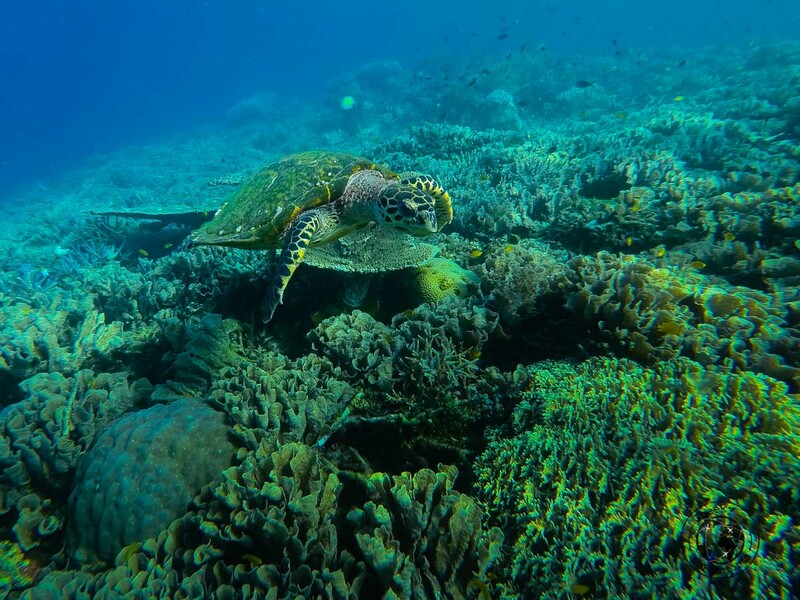 Masks and snorkels – renting your own each time you want to snorkel could be pricey! Most snorkelling equipment is not well-maintained either. Watershoes – pretty handy for when you’re not wearing fins! Hammock – usually included at your homestay but you might want to get your own. Books – bring your favourites along! 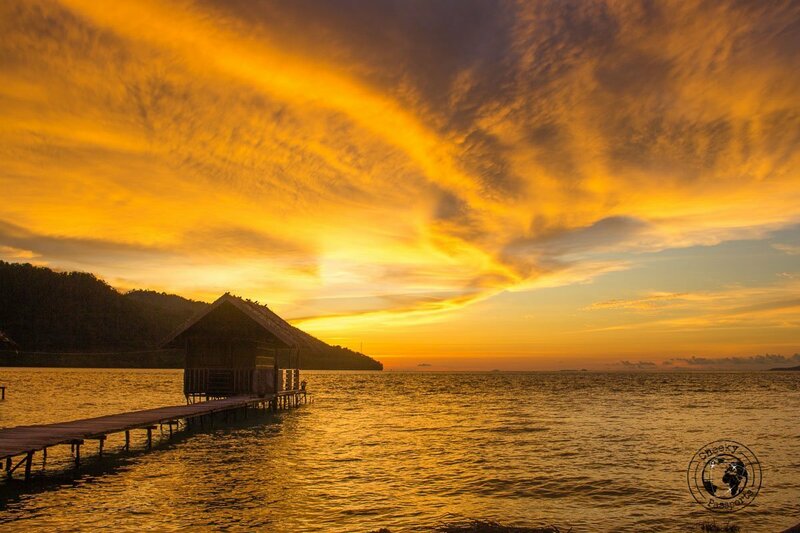 Raja Ampat provides the perfect environment for bookworms who want to indulge in their hobby! Mosquito net – most nets included in homestay cabins are torn and will not be very effective. Portable mirror – handy, especially if you need to wear contact lenses. Our homestays were not equipped with one. First Aid Kit – this can come in real handy. There are no medical facilities on the islands. Locks for cabins – many of the cabins no not have locking facilities so if you are paranoid about theft, you might want to bring your own lock. Theft is however, not common at all. Quick Dry towels – It’s likely that your homestay might not offer towels. We that found that ours came in handy! In conclusion, you CAN travel to Raja Ampat on a budget with some careful planning – just be sure to follow the guidelines above and you’re prepared for one of the earth’s last remaining paradise spots! I find that is the case pretty much everywhere here in SE Asia. If it’s remote and not a lot of people visit, it’s going to cost you! What a beautiful place, though, and amazing that you did manage to visit such an extraordinary spot and not actually end up spending all that much. Well done! The photos there are amazing. It’s a shame that beautiful places like that are sometimes “reserved” for people with money, simply because it costs so much to be there, but 30 euro a day is very do-able. It’s good that there are lower-cost options. I am so happy to see somewhere different in Indonesia! I keep seeing the same two or three places and it is so refreshing to know that there are still more remote places left to discover! These pictures are amazing and it looks like you had an awesome time! As a diver, I loved reading about the Manta Sandy dive spot, how divers have to basically hide to observe the rays. Nice to see respectful diving practices in place. Raja Ampat wasn’t on my radar before, but it is now. Thanks for the inspiration!